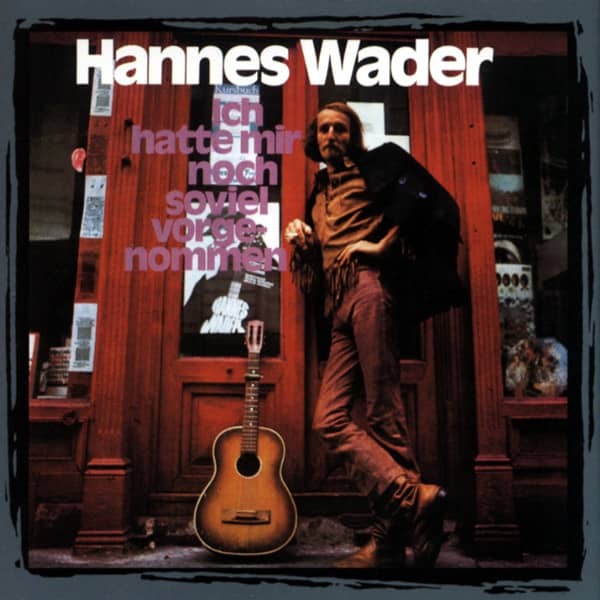 Hannes Wader began to write his own songs in the early sixties, completely unencumbered by music. That was in Berlin, where the 1942 born in Bielefeld had ended up. After working as a decorator for several years, Wader actually wanted to become a graphic artist. But he broke off his studies after a few semesters. He found a new 'home' in the clubs and pubs of Berlin, where he heard not only the topical songs of Tom Paxton or Pete Seeger, but also the chansons of Georges Brassens. 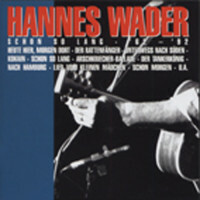 Both musical worlds inspired Hannes Wader during his first own artistic attempts, which also led him to Burg Waldeck, where he performed for the first time in 1966. 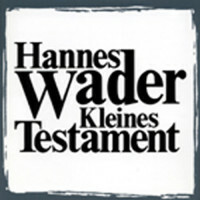 In Hotte Schneider's book 'Die Waldeck' Hanns Dieter Hüsch describes the young singer-songwriter as one of those people who caught his eye in particular: "Hannes Wader gets to grips with the world in a very simple, almost fresh way. There are no intellectual back doors, no abstract montages, no agit-pop, let alone agit-prop moments, but clear private observations have become a song and let the listener come directly to the experience and at the same time to the critical result". 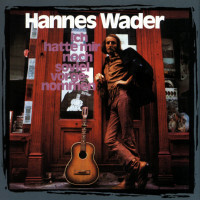 Knut Kiesewetter probably thought the same when he produced Wader's first LP in 1969 and wrote for the cover: "Hannes doesn't sing and write songs that he thinks will please his audience, but he only represents his own opinion. He also deals with topics which today could be described as absolutely unfashionable. In some of his songs, for example, he lets a kind of romanticism ring out and also has the courage to laugh at himself. He doesn't scold politicians and the evil capitalists, which many of his colleagues have made their business of, but has the courage to look for mistakes among us ... which shouldn't actually bring him the sympathies of his audience. 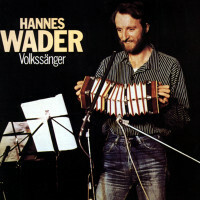 Apart from the themes that Wader sings about, his chansons have a high musical level. He sings better than many of his colleagues, who often only use their voices to 'recite' their aggressive lyrics. He plays a technically and musically remarkably good guitar. Even those who disagree with Wader's lyrics should enjoy the musicality of his interpretations." With this assessment Kiesewetter was now completely wrong. Only a few years later, Wader's pointed criticism of social and political conditions led to a media boycott. 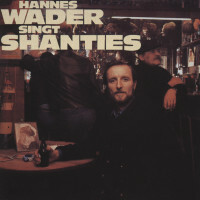 Hannes Wader singt eigene Lieder' featured many songs - performed in Talking Blues, which was to become one of Wader's trademarks - about the outsider who doesn't get along with his surroundings - including love relationships, as he impressively describes in the title Viel zu schade für mich. Accordingly often the place of the action is also a restaurant, as with the song The beer in this pub. In his Wader portrait, Thomas Rothschild attested these early songs an "anarchic potential" with an "objective political effect". And: "One must hear Wader's poems in context, precisely without prejudice, in order to recognize how close alleged cynicism is to a romanticism that has recognized that reality leaves it no room." Pub types are also the focus of the more than nine minutes long story I still had so much in mind, the title song of Waders second LP. No longer solo, but accompanied by Werner Lämmerhirt, the virtuoso ragtime guitarist, and Jürgen Ehlers on bass, Wader slipped here into the role of a cancer patient who has only a few days left to live and who, surrounded by a group of wondrous eccentrics, asks himself how he can obtain a "good exit", even though he had still set himself so many goals. Customer evaluation for "Ich hatte mir noch soviel vorgenommen"